Roof sheet machine backed with expertise and knowledge in this market, we are counted a one of the leading manufacturers of roof sheet machine. All these cold roll forming lines are highly appreciate among our long list of esteemed clients for their sturdy construction, excellent reliability and longer lifetime. Our customer can avail these roll forming machine in wide range at competitive. Usage: Put the raw material (steel plate) through the beach to manufacture and process, it can guarantee that the products are neat, parallel and everything is uniformity. Please refer to the equipment regulation to know the function of locate broad. 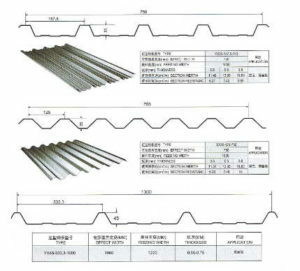 Usage: In order to keep the product shape and precision, adopts welded sheet structure, motor reducer drive, chain transmission.